Union Shopper is a 100 percent union-owned service that provides members with discounts on a wide range of products and services. As a member of NSWNMA, you are automatically eligible to register. Union Shopper is all about ensuring members receive great value for money on whatever you are looking to buy. At no cost to you, they help save time and money, without the hassles and headache. Make the most of this valuable money-saving service. 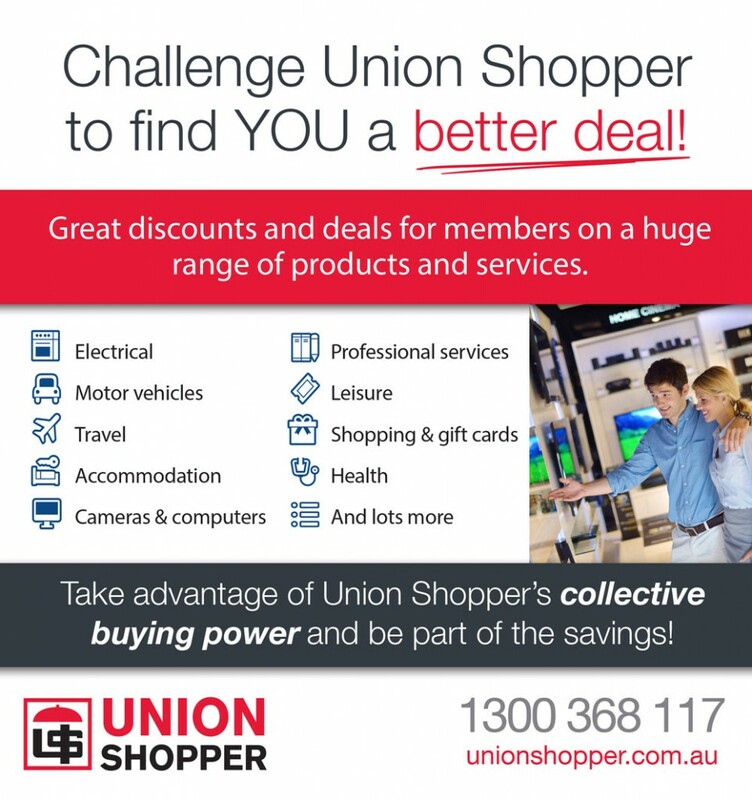 Before you make another purchase, remember Union Shopper and challenge them to find you a better deal. For detailed information on how to purchase through Union Shopper visit their website. With your union details to hand you can easily register your membership online, which will then reveal to you the full benefits of our online Members Only area. Request a quote online: Members can find their best prices on the electrical goods you want to buy 24/7. Simply visit the Union Shopper quotes site with your product details and in two to three business hours they’ll have our best price back to you.